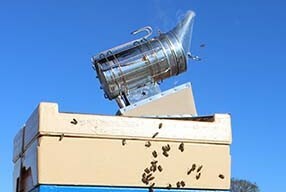 Australia has a healthy honey bee population and there are things that every beekeeper can do to keep it that way. 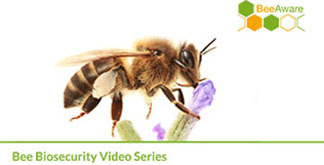 The Bee Biosecurity Video Series was produced to let you know how you can help and the ways in which government, research organisations, plant industries, private companies and organisations with an interest in honey bees are all contributing to preparing for an incursion of varroa. 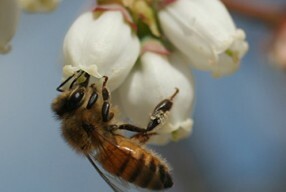 A range of videos have been produced for Australian beekeepers and growers of pollinator-reliant crops to assist in the implementation of best management practices. 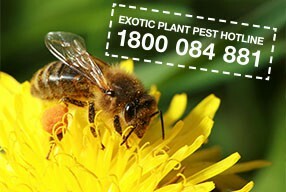 Other video series, such as the AFB elimination series, produced by Plant and Food Research NZ have been produced overseas, but contain specific videos which are equally applicable to Australian beekeepers. 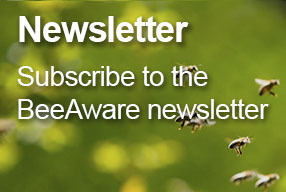 These videos explain a range of important information to beekeepers, from workplace health and safety to best management practices. NSW DPI and Tocal Agricultural College have produced a number of videos on surveillance methods for pests including Varroa and Tropilaelaps mites and Braula fly. 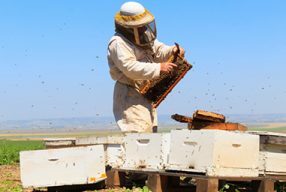 In this video from the Rural Research and Development Corporation, Dave Leyland from Western Australia’s Bees Neez Apiaries explains how he implements the barrier management system in his day to day activities to maximise biosecurity.